Not too long ago the news reported how some places are banning the use of single-use straws. To be honest, I hadn’t really thought about straws as posing a problem until they were in the news. According to the FinalStraw website, 1.6 straws per person are used each day, which is enough to “wrap around the Earth 2.5 times every day.” FinalStraw also points out that many straws end up in our oceans and can cause harm to precious wildlife. And, sadly, FinalStraw says straws can’t be recycled and they don’t decay over time. They just sit and add to our waste. But, don’t despair. There is something we can do to help make things a little better. And, if a lot of people did it, we could make things a lot better—at least in terms of straws. We can use reusable straws, like those from FinalStraw. FinalStraw will be starting officially in November 2018. And, even though it’s not officially open yet, the company has already sold 150,000 presale straws. So, as you can see, people are already trying to lessen the plastic waste and help make our world a better place! Now, when you hear “reusable straw” you probably think of the long straw. But, FinalStraw has created a straw that collapses so that it fits into a keychain-sized carrying case (which is made of 100% recycled plastic). The straw, itself, is made with stainless steel (for the body) and the tubing is medical-grade and food-grade TPE tubing. 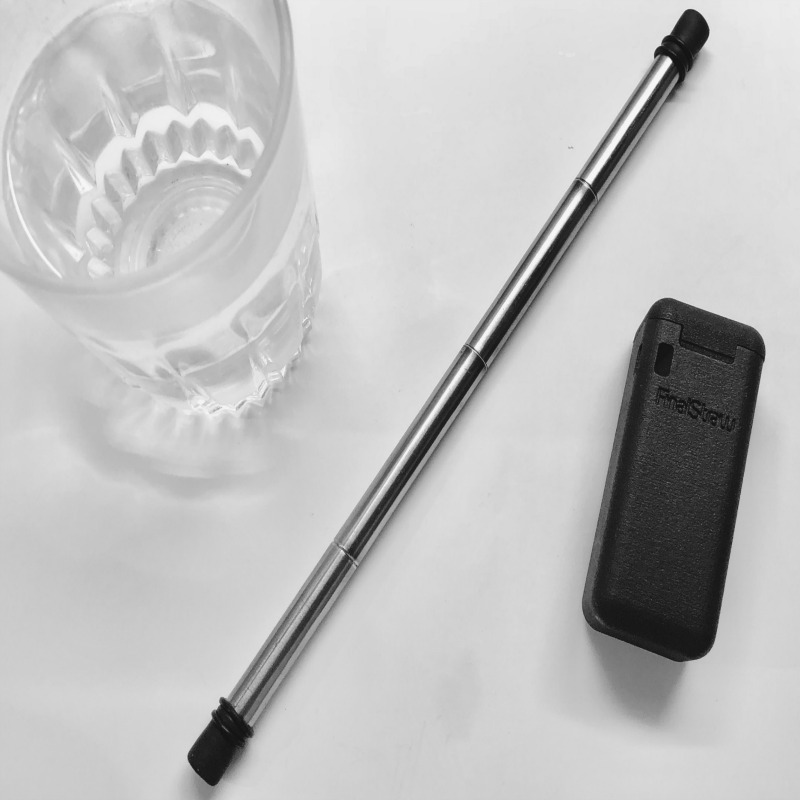 You can use FinalStraw to drink hot, cold, or warm drinks. And, it fits into all to-go cups, so no worries there. The straws are dishwasher safe (and they come with a cleaning squeegee to make cleaning even easier and more thorough). FinalStraw is run by Emma Cohen and Miles Pepper. Emma Cohen has a master’s degree in environmental management and sustainability from Harvard. She has worked at Los Alamos National Laboratories in their Pollution Prevention Department. Miles Pepper works on the company’s product development and manufacturing. Mr. Pepper has a desire to “make objects that solve unique problems” (taken from bio). These are definitely two wonderful people that want to make a big difference in our world starting with a little thing called a straw. Currently, FinalStraw retails for $20 per straw, which, according to the product website, is 33% off the planned future retail price of $30. So, now would be the perfect time to pre-order to get in on the savings. For either price, you’ll receive one straw, a carrying case, a cleaning squeegee, and a 5x FinalStraw Ambassador Card. This would make a cool stocking stuffer! Give a gift that makes someone happy and helps our Mother Earth!